You might usually think of blue as a “cool” color, but blue light sparks your brain awake, increasing your alertness, heart rate, and cortisol (a stress hormone). As the sun comes up each morning, its natural blue light comes causes you to rise and shine. But at night, blue light is not your friend. Artificial sources of blue light are everywhere—from fluorescent bulbs and LEDs, to screens on phones and laptops. If you’re not sleeping well, blue light might be the reason. The shorter wavelengths of the spectrum rainbow tell your brain it’s time to wake up—even at night. According to the National Institute of Health, blue light suppresses production of melatonin, the sleep hormone. One study showed that exposure to moderate blue light 30 minutes before bed delayed deep sleep by 30 minutes. On a dark morning, exposure to blue light can actually help you wake up and feel invigorated. Spending time in bright light can boost your mood and help regulate circadian rhythms for better sleep. For those who struggle with seasonal slumps, blue light shines. It has been found to be as effective as white light to relieve seasonal affective disorder (SAD). The challenge with blue light is that most people are over-exposed. As you’ve probably experienced with ultraviolet light, the more time in the sun, the worse the burn. The same holds true for blue light and your eyes. A study at the University of Toledo found that blue light harms crucial cells and can result in permanent damage to vision. Reduce sources of blue light two to three hours before bed. With helpful tools and a little planning, you can enjoy deeper sleep and wake up refreshed tomorrow! We are pleased to offer a new three-part collection that uses organic passion fruit to repair skin damage and provide natural defense against UV and blue light. This collection works to defend your skin with lightweight all-mineral sun protection. Lilikoi Mineral Defense Moisturizer SPF 33 is a lightweight moisturizer for all skin types that protects skin and keeps it looking fresh and natural. Lilikoi Light Defense Face Primer SPF 23 is an illuminating primer that creates a glowing, radiant complexion and protection from UV and blue light. Lilikoi Mineral Defense Sport Sunscreen 35 SPF protects your face and body during outdoor activities where water and perspiration would normally prevent effective coverage. If you’d like a complementary trial sample of any of these new lilikoi products, just stop by Simply Blissed any time. 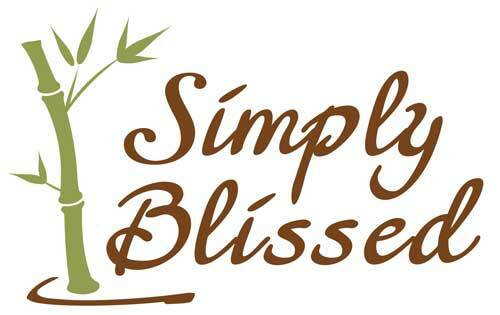 We’d love to share the bliss with you!